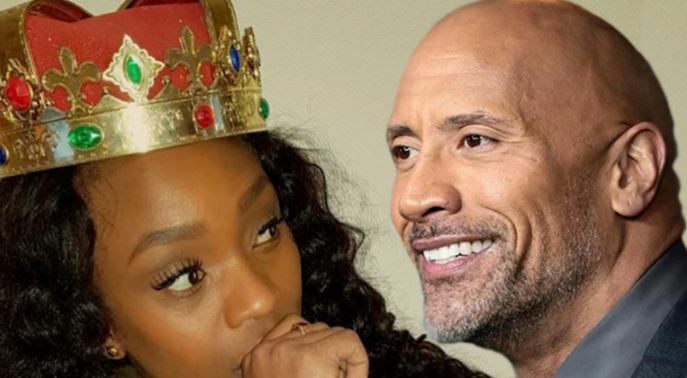 Kenya’s ‘baddest’ femcee Stella Mwangi has copped a huge endorsement from the one and only Dwayne The Rock Johnson. The Norway-based rapper was early this week stoked when the Amercian actor and professional wrestler took some time off his busy schedule to shout her out for what she does best: dropping fire bars. This happened on Monday when the Rock took to his Instagram account with over 114 million followers to appreciate Stella Mwangi for her lyrical prowess in the song titled “No Games”, that is featured in season four of hit series “Ballers”. STL responded to The Rock’s applause on her Insta and extended the shout out to her producers. “When The Rock give u a shout out😱😍 Shout out to my Producers,” wrote STL. The ‘Ballers’ soundtrack is yet another of Stella Mwangi’s many features in a host of Hollywood films and TV shows. The tracks, such as Big Girl(Rough Night movie), Set It Off(A Bad Moms Christmas and Being Mary Jane), Get Up and Go(Rosewood tv show), Work(theme song for Reebok Classics Free Your Style 2017 campaign), and others are off Stella Mwangi self-titled EP. That was February last year and the indications are that Stella Mwangi will keep on winning for the foreseeable future.